On Monday, members of the greater York community came together to remember and honor the lives lost in the recent shootings at the Tree of Life Synagogue in Pittsburgh as well as the victims from Thousand Oaks in California. City of York Mayor Helfrich and I joined together to share our thoughts as elected officials to condemn hate based on religious beliefs. It was an incredible showing of support of people of all faiths to support one another. 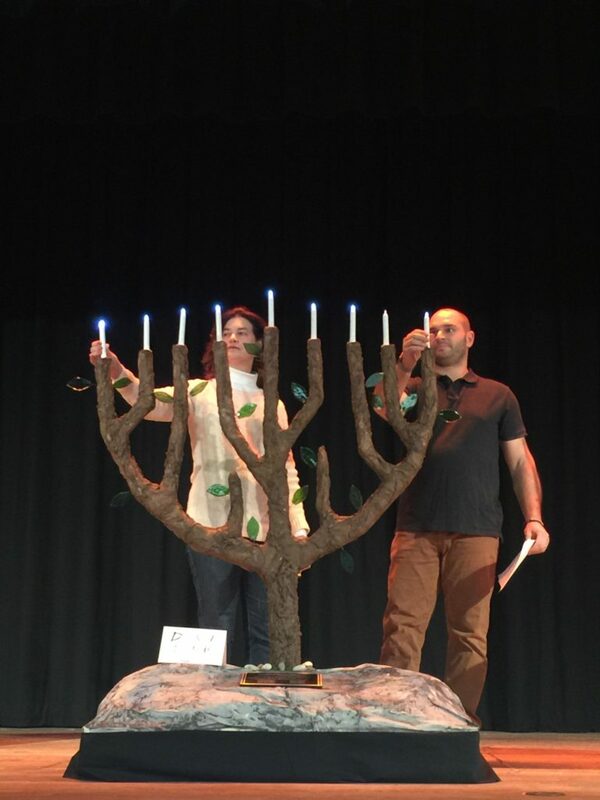 Mark Lewin and Liz Arbitter made a special menorah for the event. The menorah’s branches represent each of the 11 individuals who lost their lives in the shooting at the Tree of Life Synagogue. Many thanks to the organizers of the event, including the host, the York County Jewish Community Center for opening your doors to the community and allowing us to mourn and heal together. The Pennsylvania Jewish Coalition hosted in a lunch in the Capitol on Thursday. I attended along with many other senators, representatives and Pennsylvania leaders in the Jewish faith to find a way to combat anti-Semitic violence and hatred. Governor Wolf also joined us to discuss possible solutions. It is said that darkness isn’t pushed away with a broom. The only way to combat darkness is with light. 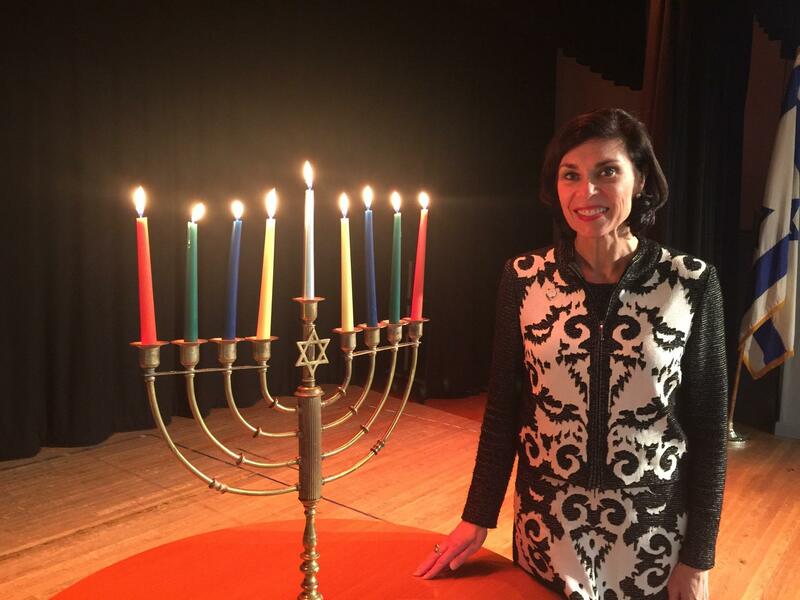 My thanks to all those who came out this past week to combat the darkness with light. Over the last two weeks, our communities have recognized the hard work and dedication of our local teachers. In my last email update to you, I indicated several teachers at the School District of the City of York who received praise for their achievements in the classroom. This past week, Brian Hastings, who is a high school physics teacher at the Spring Grove Area School District, was recognized as a finalist for the 2019 Teacher of the Year award. Congratulations on your achievement and thank you for making York County proud! 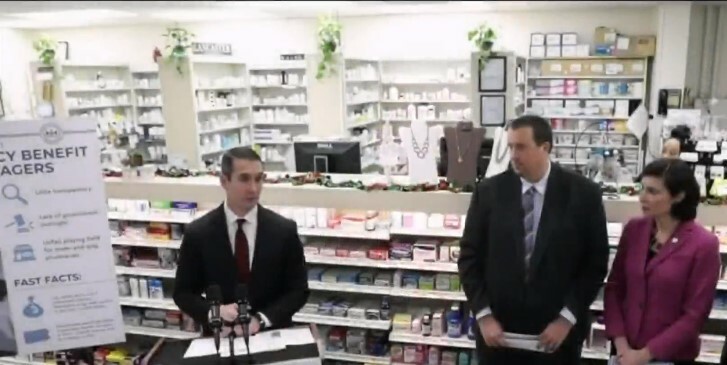 On Tuesday I joined Auditor General Eugene DePasquale and Representative Seth Grove (R-York) to announce the findings of an audit on the impact of pharmacy benefit managers (PBMs). PBMs are third party administrators who manage prescription drug plans for various health plans. In Pennsylvania, they manage prescription drug care and coverage for the state’s Medicaid plans. Auditor General DePasquale’s audit found that these third party administrators have very little to no oversight. PBMs were paid $2.86 billion in 2017 for our state’s Medicaid enrollees. In just four years, this amount has grown by 100 percent! Representative Grove and I believe the practices outlined in the general’s report are despicable. The role of PBMs has grown from its intended purpose. The auditor general’s report underscores that PBMs are no longer looking after the best interest of consumers. In 2017, PBMs slashed their reimbursement rates to locally-owned/family-owned pharmacies. These pharmacies received letters with offers to buy their business, citing the new reimbursement rates. This practice blatantly undermines these pharmacies. There is also a gag clause in some contracts between PBMs and pharmacies that prohibits your local pharmacist from telling you what the out-of-pocket cost would be for a prescription. You can read more about my thoughts on the matter here. Does this medication overlap with any medication I’m already taking? Is there a less expensive alternative medication available? What is the cash price for the medication? To read the full report, please visit the Auditor General’s website. Maxwell McDonald of Wrightsville Elementary was one of 13 fifth graders selected to be featured in Attorney General Josh Shapiro’s annual drug-free calendar contest. 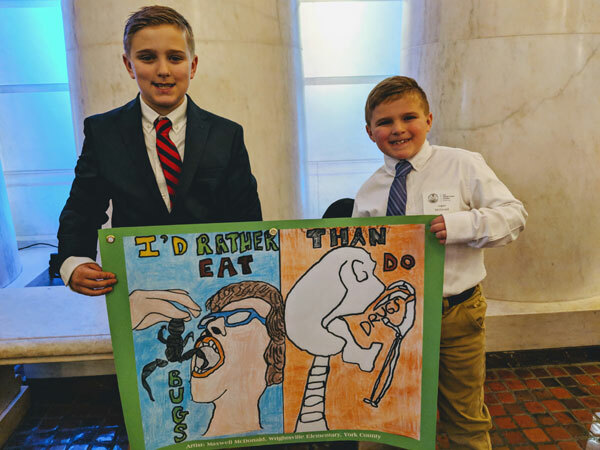 The contest asks fifth grade students from across the state to illustrate a drug-free message. There were nearly 1,000 entries into this year’s competition. Max and his brother Logan, along with their parents, came to the state Capitol to show off the winning artwork. Thank you to Max and all of the fifth graders who participated in such an important program to highlight the dangers of using illegal drugs. You can read more about this competition here. On Wednesday, I participated in a wide-ranging discussion about the need to improve our state’s high-speed internet infrastructure to ensure more Pennsylvanians have access to broadband. WITF Smart Talk featured Barry Denk, Executive Director of the Center for Rural Pennsylvania, and Steve Samara of the Pennsylvania Telephone Association. I joined in the conversation to discuss my legislative efforts to find solutions to the problem. High-speed internet is desperately needed to make us competitive in our current global economy, in our educational system and with our evolving health care systems. I encourage you to listen to the discussion here. On Thursday, I met with several individuals to advance the issue, including Senator Gene Yaw (R-Lycoming), who serves as Chairman of the Center for Rural Pennsylvania, and other key stakeholders. I’ve recently circulated a memo outlining my proposals to address this key issue. Read that memo here. Please let me know if you have any feedback for any of my forthcoming legislative proposals, which you can find here. Please contact me here. 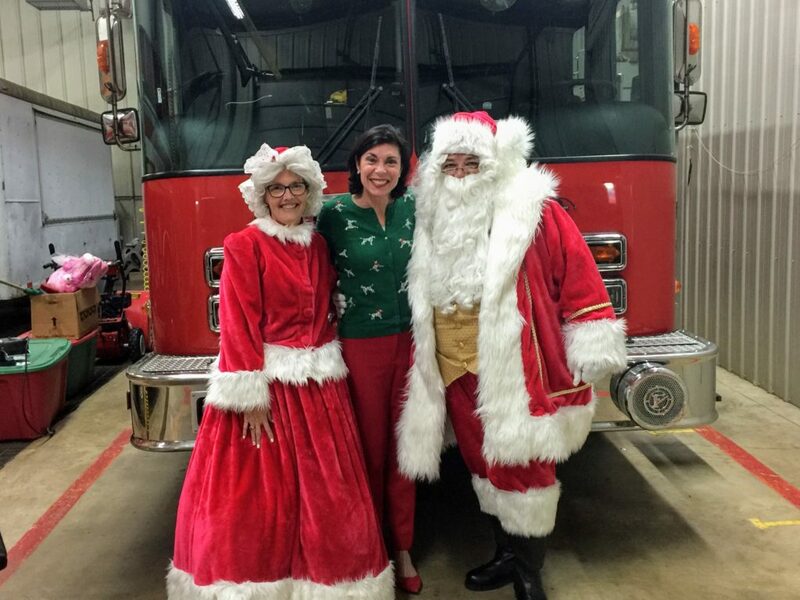 Special thanks for the hardworking men and women at the Felton Fire Company for their excellent breakfast for the community with Santa and Mrs. Claus on Sunday!! Earlier today, I joined my legislative colleagues and leaders of the Central York School District at their annual legislative breakfast to review their priorities for state government. We discussed school safety efforts, updates to the state’s graduation requirements, as well as ongoing reform initiatives including prevailing wage reform. Pennsylvania Budget Secretary Randy Albright was cautious about the state’s future fiscal outlook during his mid-year budget update earlier this week. He expressed concerns as it relates to mandated spending increases for our human services programs. The state’s fiscal year ends on June 30, 2019. The governor will outline his budget priorities on February 5, 2019. 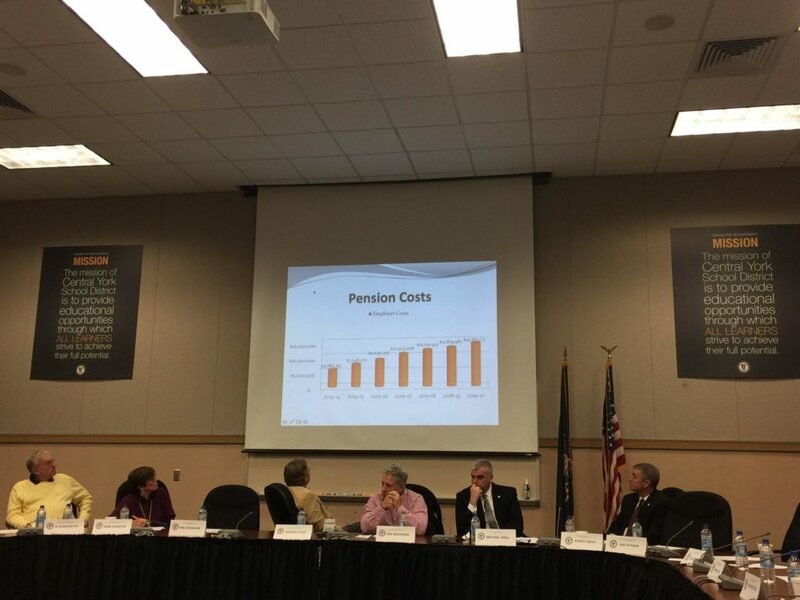 The state’s Independent Fiscal Office is predicting a $1.7 billion budget deficit next year.